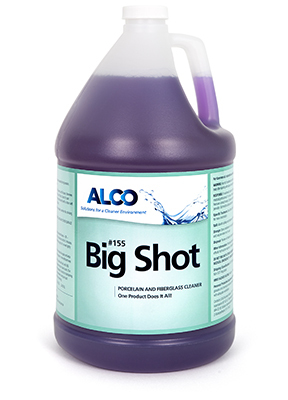 Alco Big Shot - Alco-Chem, Inc.
A non-acid specialty daily cleaner. Designed especially for porcelain, fiberglass, ceramic tile, and stainless steel surfaces. Ready to use, rinse free product that removes daily accumulation of lime, rust, soil, mineral deposits and odors, with a built in polishing agent.